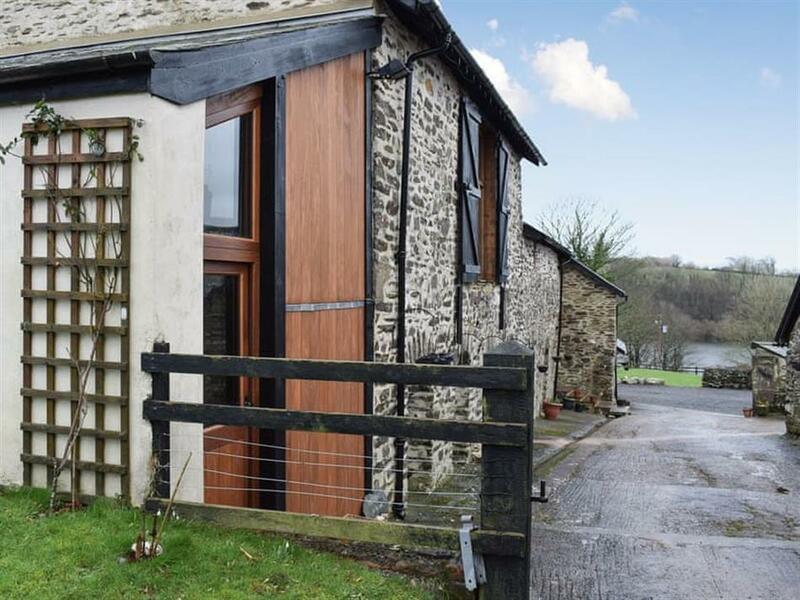 The Barn by The Lake in Brompton Regis, near Dulverton, Somerset sleeps 5 people. The Barn by The Lake near Dulverton has a setting and view from this property which will take your breath away. 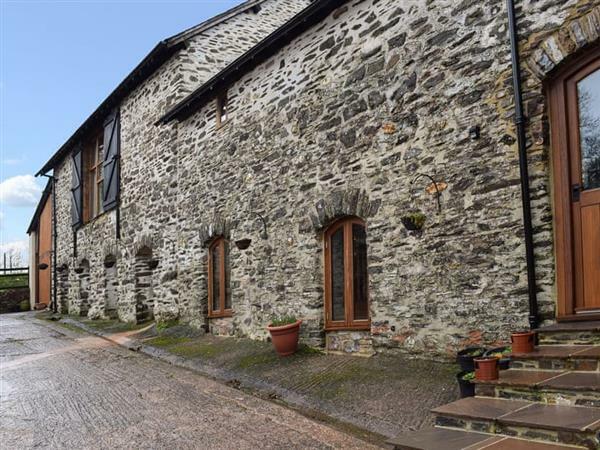 This beautiful, spacious barn conversion, close to the owner’s home, is perfect for a family of five or a group of friends who want to get away from it all. The open plan living room and kitchen is ideal for gathering together, whether it’s around the warming wood burner or stepping out onto the decking to enjoy a nice chilled drink overlooking the lake. There is a mezzanine which is reached by a steep wooden staircase, and has a king-size zip and link bed, which can be made to twin beds by arrangement. In the middle of the property a further single bedroom can be found opposite the second bathroom, and at the back of the property is the master king-size bedroom. Steps then lead you down to a second living/dining room. Location wise, you’ve hit the jackpot! Within the Exmoor National Park, this property is set on a private road next door to the activity centre. For the more active visitor, there are miles of walking and cycling trails, archery, climbing and a fantastic range of watersports. To get on the water, visitors can either bring their own craft and pay a launch fee, or hire kayaks, sailing boats, stand up paddle boards, windsurfs and rowing boats. For those who prefer to relax, there are plentiful meadows, woodlands and picnic areas, a great escape from modern life’s hustle and bustle. Wimbleball is also a fantastic place for outdoor learning, whether it’s birdwatching, bushcraft or stargazing, there is always something special to see and do. This 530-acre site is one of Exmoor’s most popular tourist attractions and provides you with the perfect blend of excitement and tranquillity. For fishermen, there is excellent fly fishing on-site for brown and rainbow trout (at cost, licence required), and proves to be very popular. Dulverton, 6 miles, has a wide range of shops, restaurants and tea rooms. A visit to Tarr Steps and Dunkery Beacon, the highest point on Exmoor, make for a great day out. Other local attractions that may be of interest are the village and castle at Dunster, the West Somerset Railway at Minehead and the villages of Porlock Weir, Lynton and Lynmouth. The beach is 15 miles from The Barn by The Lake near Dulverton. With the shop and restaurant 2 miles, and the pub is 1 mile from The Barn by The Lake. Living area: With wood burner, 43 Freeview TV, beams and French doors leading to decked terrace. Kitchen area: With electric oven, electric hob, microwave, fridge/freezer, freezer, dishwasher and washer/dryer. Bedroom 1: With king-size bed and beams. Bedroom 3: Galleried with zip and link king-size bed (can be 2ft 6in twin beds on request) and beams. Oil central heating, electricity, bed linen, towels and Wi-Fi included. Initial logs for wood burner included. Travel cot, highchair and stairgate available on request. Welcome pack. Large enclosed lawned garden with patio and garden furniture. Fishing on-site (at cost, licence required). Private parking for 4 cars. No smoking. Please note: There is direct access to a lake and 3 steps in the garden. Holidays at The Barn by The Lake run from Saturday to Saturday. For a better idea of where The Barn by The Lake is, you can see The Barn by The Lake on the map below. The Barn by The Lake is in Somerset; should you be on the lookout for a special offer, you can find all the special offers in Somerset. It's always worth checking to see what is on offer at the moment. Do you want to holiday near The Barn by The Lake (UK10771), you can see other cottages within 25 miles of The Barn by The Lake; have a look to find your perfect holiday location.